Used in the treatment of ascites, constipation and bloating, induce purgation, etc. Ichhabhedi Ras is an Ayurvedic medicine in tablet form. It is used in the treatment of ascites, constipation and bloating. This medicine contains heavy metal ingredient, hence should only be taken under strict medical supervision. It is used in the treatment of ascites, constipation and bloating. It is used to induce purgation. It is used in Ayurvedic panchakarma treatment called Virechana. 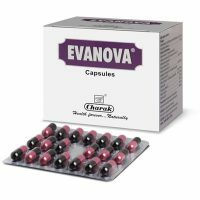 250 mg before or after food or as directed by Ayurvedic doctor. It is traditionally administered along with cold water. Till the time patient drinks cold water, there will be purgation. After taking this medicine, patient is advised to take rice with buttermilk.